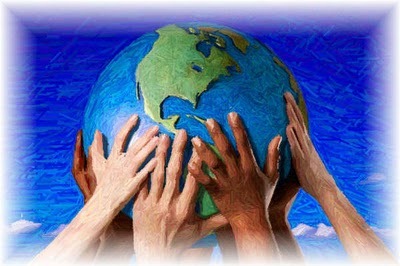 Globalization is the shift towards a more integrated and interdependent world. It refers to the growing economic interdependence among countries, industries and companies, by increasing cross-border flows of goods and services, capital, know-how and individuals. Globalization is a long-term historical process. The Silk road was the start point (2000 years ago). Later, the voyages of Europeans to the “new World” and the discovery of America made the world “smaller”, or travelling more accessible. Innovation and access to capital were critical in the path of globalization. Furthermore, during the 20st century many countries were inspired by the wave of globalization. A good example to represent this: the “4 tigers” (South Korea, Taiwan, Singapore and Hong Kong). They were the only countries recognized by World Bank to have progressed from less-developed to developed status. 1) Technological change: massive ongoing increase in the power of computing and communication technologies and a significant increase in speed and decline in transportation costs. 2) Declining trade and investment barriers: liberalization to facilitate free flow of capital, goods/services, and technology among countries and regional blocs. 3) Changing demographics: the center of gravity shifts to less developed nations, which are growing faster than the advanced economies. 4) Integration of China, India, Soviet Bloc and Brazil into global economy: regarding the BRIC Thesis, the economic potential of those countries is such that they may become dominant by the year 2050. In fact, globalization is the key factor of the “crisis” nowadays…we are not isolated, so when our neighbors are damaged, we are damaged…same feeling as musketeers: All for One, and One for All!